It’s the Ultimate Paleo Cakey Brownie recipe for all you cakey brownie lovers, but this rich and decadent recipe is beloved by fudgy brownie lovers too. In short, this recipe is a keeper! 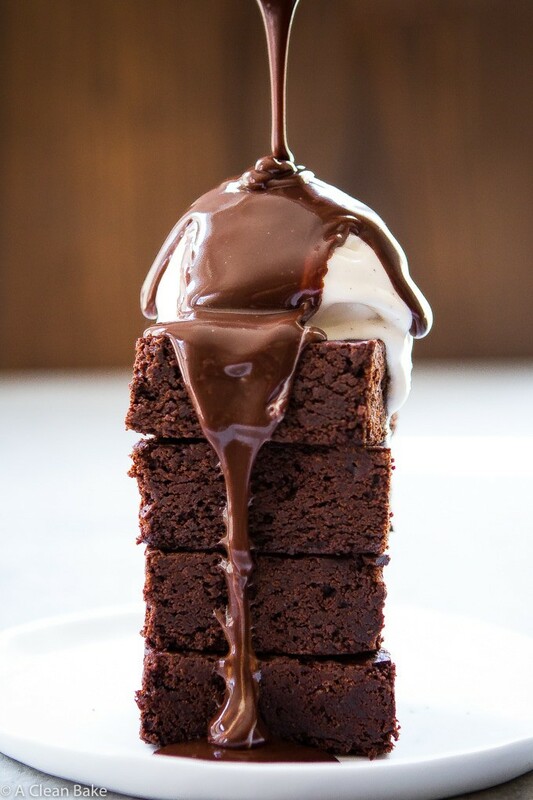 Cakey brownie lovers, your moment has arrived. I taunted you with fudgy brownies and I teased you with the promise of a cakey version “coming soon” but… they never came. Instead, I went on vacation, then went MIA, then went on a Whole30 (sort of). I’ll bet you forgot or, worse, thought I did. Pfffft. Never. Come hell or high water, I will never forget about chocolate. And especially not about brownies. I have it on good authority (my resident cakey-brownie-loving neighbor) that these are the cakey brownie to end all cakey brownies. 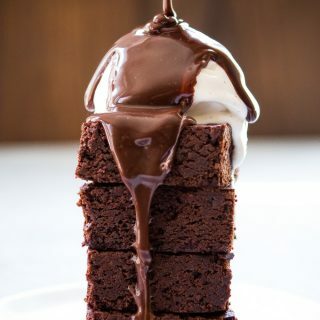 Even I, fudgey brownie lover to the death, admit that they’re pretty darn good – especially topped with a scoop of ice cream and some gooey chocolate ganache (the recipe for which is – you guessed it! – coming soon). 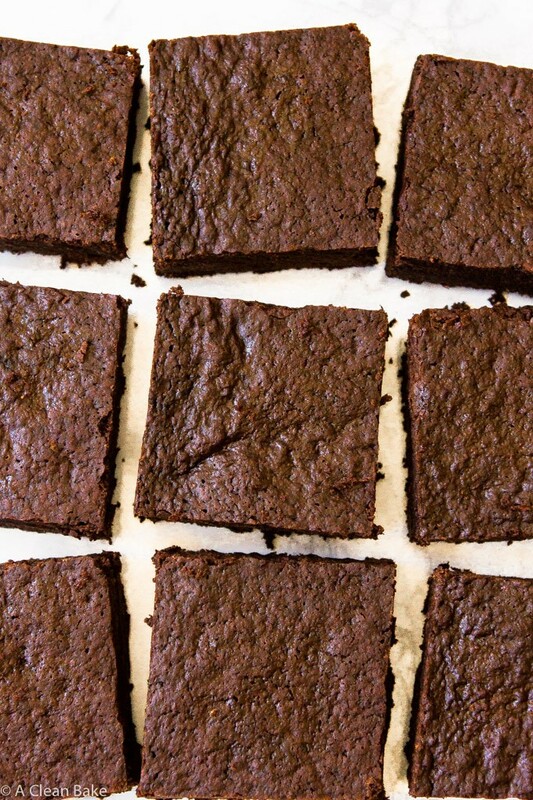 So what’s different about these brownies versus the fudgy version? In some respects, nothing. The recipe is straightforward and relatively easy – no mixers required, just a couple of bowls and spoons – and the ingredients are familiar and easy to find. Speaking of ingredients, this is the point where I preach about the importance of ingredient quality, especially when it comes to the chocolate. 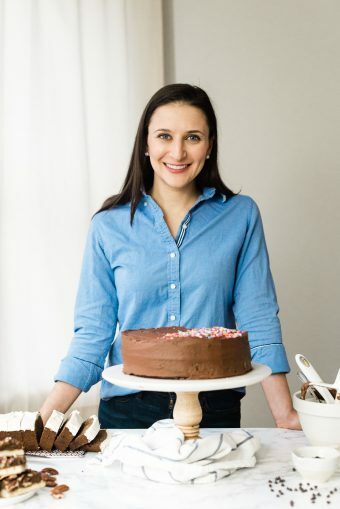 If you’re wondering how to make good brownies great, picture a tiny version of me, perched creepily on your shoulder, whispering “good chocolate! good cocoa!” in your ear. I can’t overstate the importance of using the best quality chocolate and cocoa powder you can find and yes, that means buying a bar of chocolate that may seem overpriced, but is really an important investment in a seriously good pan of brownies. The cocoa powder requires the same attention. NOW Foods’s organic natural cocoa powder is the only kind I used in my kitchen, and have for years. I highly recommend it, if you can find it in your local health food store (or online). So then what’s different about these brownies? Not much, actually. The differences are so subtle that you’d hardly believe they could produce such a dramatically different texture. The simple differences between this and the fudgey version are: a little more lift (from slightly more baking soda) and a little lighter batter (from less fat and more starch; this version contains tapioca starch), to make it easier to lift. That’s really it. But, I’m concerned that I am starting to understate the amazingness of these brownies, or the fact that they are just as good as the fudgy version, just in a cakier way. Which one is better? Far be it for me to tell you; that’s such a personal decision! So, out of an abundance of caution, I think you might just need to make a pan of each. Just, you know, to be sure. 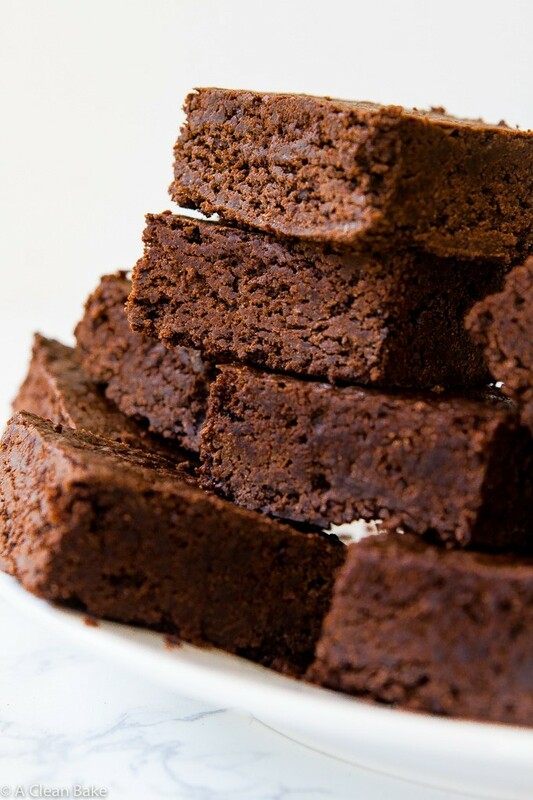 It's the Ultimate Paleo Cakey Brownie recipe for all you cakey brownie lovers, but this rich and decadent recipe is beloved by fudgy brownie lovers too. In short, this recipe is a keeper! Preheat the oven to 325F. Lightly grease an 8" square baking dish and set aside. In a large heatproof mixing bowl, melt the chocolate and butter or oil in 30-second increments in the microwave (stirring in between). You can also do this on the stovetop using a double boiler if you prefer. Stir to cool the mixture (it should be cool enough for you to hold your finger in it for 10 seconds), then stir in the eggs, then the maple syrup, applesauce and vanilla. In a medium mixing bowl, whisk together the remaining (dry) ingredients. Pour the dry mixture into the wet and whisk just to combine. Pour the batter into the prepared pan and bake 25-30 minutes until a tester comes out clean. 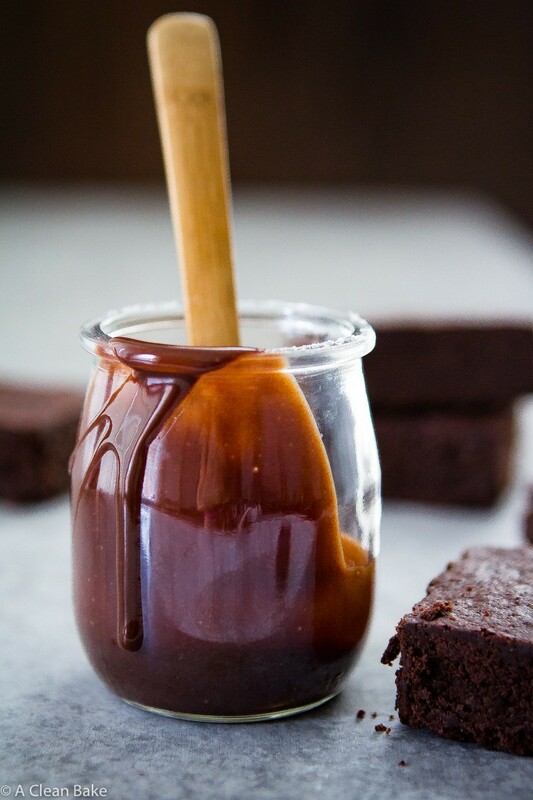 Allow brownies to cool in the pan before slicing and serving. If you don't like granulated stevia, I like this monk fruit sweetener (affiliate link) instead. It's available at Whole Foods and online, and it has no bitter aftertaste. Thank you to Now Foods for providing the ingredients that inspired this delicious recipe. This post contains affiliate links, which means that if you click through and purchase a product, A Clean Bake receives a small commission. All proceeds go toward continuing to bring you delicious, healthy recipes every week, and this does not affect the price you pay. Thanks for supporting A Clean Bake! Oh. My. God. That first picture made my mouth water instantly. It looks heavenly!! I’m definitely going to try it. Thank you for sharing the recipe with us! Thank you! I would love to hear what you think when you try this! I’m not sure. I worry that the grains might be a little too big with the instant coffee. Feel free to just skip the espresso in the recipe! These look divine! What percentage do you recommend for the dark chocolate? Too-dark can compromise traditional recipes, not sure if that’s a factor here. Thanks! I’d recommend something in the 65-80% range, but feel free to use something more in the semi-sweet (50-55%) range if you like things sweeter!